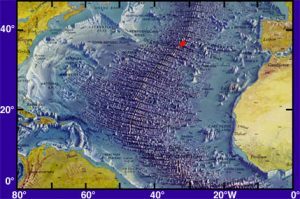 The purpose of this script is to draw attention to scientific data confirming the theory of a former existence of a landmass in the Atlantic Ocean close to the Mid-Atlantic Ridge. On the basis of these facts combined with our unique source of information we wish to argue for a maritime expedition to localize and investigate this sunken landmass. The level of deep sea archaeological science is now advanced enough to make such an enterprise successful. We possess the necessary sources of information and we are looking for sponsors and partners with the right deep sea equipment, know how and motivation. Our deep sea archaeological project is managed by Survey Group Denmark.